From all the drug abuse that statistics reveal of the college students, not all involve illicit substances. Adderall, Vyvanse, and Ritalin in the ADHD category in Amphetamines have almost become a de rigueur at colleges although Vyvanse use for studying is less evident. While the use of Adderall and Focalin drug is prescribed specifically to treat patients struggling with symptoms of ADHD and narcolepsy, the results, and effectiveness of Focalin vs Adderall are almost similar. The Bloomberg School of Public Health 2016 research on how many college students take Adderall states that the 60% of the use of non-medical prescription stimulant is most prevalent among students of age 18-25-year-old out of which studies reveal that use of Adderall for studying among college students in 2013 was 10.7% that of the non-college students which is 6.8%, according to 2013 Monitoring the Future survey. It is seen any healthy college students engage in this drug abuse to enhance their work productivity, prolong their ability for hours of study and to achieve prolific school work. Why College Students Abuse Adderall? How to Spot Adderall Addict in College? Where Do Students Get Adderall? 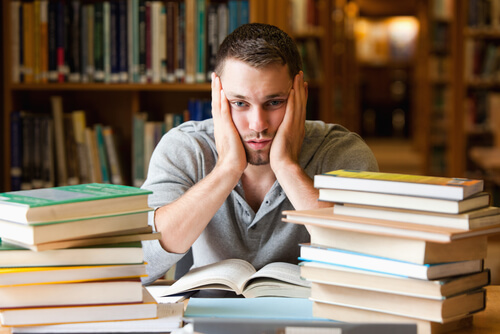 What are the Side Effects of Adderall Use in Studying? How to Take Adderall To Study? Adderall use in college students has become popular as many students experience excellence and happiness as the inhibitory capacities of the brain is strengthened to regulate power efficiently. With this comes sleeplessness for countless hours or sometimes even days when overdosed. The drug provides an energy boost both physically and mentally enhancing performance. It adds to physical strength to excel in sports, which a tactic to impress sports coaches to be able to recruit themselves into professional teams. Also, among many US men, sports is a way to get the scholarship to cover education. Does Adderall help you study? A simple 30mg Adderall pill sharpens mind acuity, improves focus and provides an energy boost for more alert and productive study. This stimulant helps in intensifying symptoms of Obsessive Compulsive Behavior through which Adderall use in college makes up for immaculate work that is revealing the finest organization skills that are hard to believe. 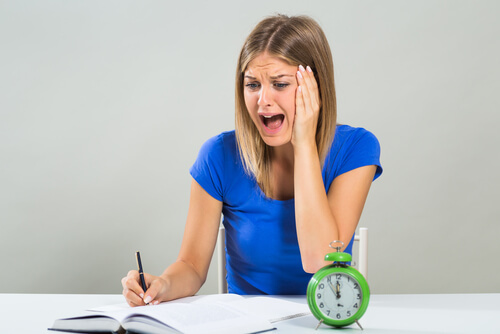 When the exams approach they begin to panic and look for the easiest and quickest way to capture and absorb all the information without feeling fatigued. Here is when this stimulant comes as the rescue option creating an Adderall abuse on college campuses. Altering the brain chemistry, Adderall and studying are taken to the next level as the students are not only able to concentrate more, their alertness, motivation increase with their dopamine which simultaneously makes them feel high while achieving better grades. During a time when vanity plays a big role, Adderall and college students are allied to kill body to achieve good grades, get higher confidence, great social life and experience high happiness. A decrease in the overall GPA. As far as Adderall can be smoked, the unusual scent or the burnt fingers might be a red flag. With relatively easy to acquire, this is where Adderall abuse in college is facilitated. Since there is no clinical test for ADHD, many college students fake up the symptoms of ADHD after doing a quick research on how to get Adderall prescribed and making an appointment with the clinic at college. This results in the prescription for the drug along with all hopes to increased academic performance. Meanwhile, the other most ‘reliable’ source for obtaining non-prescribed Adderall dosage for studying is friends and family, 2/3rd of those have obtained with the prescription. Apart from that, a homemade Adderall recipe is so easily accessible that does not require any laboratory for creation, adds another ground for Adderall abuse in college students. While the long-term effects of this drug mimic those of the regular use of drugs, like cocaine, include anxiety, depression, stroke, cardiovascular problems. When it comes to college students and Adderall, there are few things that should be kept in mind. The efficiency of this stimulant is NOT enhanced when mixed with alcohol. Instead, it can cause alcohol poisoning. The drug is obviously suggested only when prescribed by a medical practitioner and works best when consumed in a prescribed way. For best results, take this drug on an empty stomach and do not take this stimulant needlessly. Large amounts of Vitamin C reduce the overall effects of the drug. Avoid accompanying other drugs with Adderall in college. Adderall shall never be used in combination with Alcohol. This causes alcohol poisoning. Avoid snorting this stimulant. Consume the pill instead. Only take the prescribed dosage. DO NOT overdose yourself. Any drug should not be prolonged without medical prescription. In this case, prolonged use of this stimulant results in declining academic performance over time when the body becomes tolerant to the drug. Feeling mentally tired and foggy when you are trying to quit or decrease the dose. The party life as a result of increased euphoria gradually becomes annoying and irritable. Sharing pills at college, stealing or borrowing from family or friends or even faking symptoms to get access to the wrong dose of this stimulant or any other drug constitutes under prescription fraud which is a felony. Always keep in mind how to get Adderall out of your system. Adderall abuse can literally impair life! The abuse of this ‘study pill’ might seem to increase efficiency and increase alertness but that is definitely not increasing you in academic excellence. Alertness is what the ‘real’ and ‘literal’ effect of this drug is consuming it without prescription is like lending your friend spectacles who has a clear vision. It will ultimately blur the vision. This prolonged nonmedical use of this drug increases restlessness and aggression. Relationships begin to fall as an unstable behavior becomes inevitable, taking one deep into depression and anxiety. For those who do not suffer for ADHD, nonmedical use of this drug have effects far worse and is harmful beyond the comprehension. Good grades are definitely not worth risking your health. Insomnia and thyroid disorder deteriorates more of emotional and physical health. Working memory reduces, and the personality falls drastically leaving no control of oneself. The degrees and certificates are then unable to heal life. Withdrawal from addiction is always a conscious choice, and if made saves lives. Treating drug addiction requires a complex set of procedures and determination. Follow are some steps to proceed with the treatment. Acceptance of the issue – Be motivated to escape drug addiction. Although it can be quite challenging to cope with Adderall withdrawals, it is a necessary step to the full recovery. Detoxification – detox meds are used to remove harmful substances and toxins from the body under medical monitoring. Rehabilitation: Group therapies, rehab centers, and counseling assist in overall health management. Recovery: moving towards a healthier lifestyle with the continued support of outpatient therapy. If you are trying to seek help from addiction, call our 24-hour hotline at (888)-459-5511. We would love to assist you or your loved one.